Having a child with cancer is one of the most stressful experiences that a family can have. Cancer in children is rare. But it is the leading cause of death by disease among children in the United States. ​Leukemia is the most common cancer in children. It starts in the bone marrow and blood. Leukemia accounts for about 30% of all cancers in children. Acute lymphocytic leukemia and acute myelogenous leukemia (AML) are the most frequent ones. ​Brain and central nervous system tumors are the second most prevailing cancer in children. They make up about 26% of childhood cancers. Most brain tumors in children start in the lower parts of the brain, such as the cerebellum or brain stem. But they can also grow in the upper portions of the brain as well. ​Neuroblastoma starts in early forms of nerve cells. About 6% of childhood cancers are neuroblastomas. This type of cancer develops in infants and young children. It is rare in kids older than 10. The tumor can start anywhere but often begins in the belly. Wilms' tumor starts in one, or both kidneys. It is most often found in children aged three or four and is rare in older children. It can show up as swelling or lump in the abdomen. Wilms' tumor accounts for about 5% of childhood cancers. Lymphomas start in immune system cells called lymphocytes. They often begin in lymph nodes and other lymph tissues, like the tonsils or thymus. These cancers can also affect the bone marrow and other organs. ​Two main types of lymphoma are Hodgkin lymphoma and non-Hodgkin lymphoma. Both types occur in children and adults. Hodgkin lymphoma accounts for about 3% of childhood cancers. It is rare in children younger than five years of age. Non-Hodgkin lymphoma makes up about 5% of childhood cancers. It is more prevailing in younger children than Hodgkin lymphoma. Rhabdomyosarcoma starts in cells that often develop into skeletal muscles. These muscles control the moving parts of the body. You can find it in the head and neck, groin, stomach, pelvis, or in an arm or leg. It may cause pain, swelling, or both. This is the most common type of soft tissue sarcoma in children. It makes up about 3% of childhood cancers. Retinoblastoma is a cancer of the eye. It accounts for about 2% of childhood cancers. It occurs in children around the age of two and is unusual in children older than six. Parents often notice it when their child’s eye looks unusual. In an eye with retinoblastoma, the pupil often looks white or pink. Bone cancers occur most often in older children and teens, but they can develop at any age. They account for about 3% of childhood cancers. There are two main types of primary bone cancers in children. One of them is osteosarcoma. It is most common in teens and often develops near the ends of the long bones in the legs or arms. It can also cause swelling in the area around the bone. Ewing sarcoma is an unusual bone cancer and is more common in young teens. It often rises at the pelvis, bones, the chest wall, or in the middle of the long leg bones. Many people get a negative feeling when they hear the word cancer. Our medical system tells us that cancer is a horrible disease. They often blame our genes and ignore the environmental causes of cancer. Scientists estimate that only 5-10% of all cancers are genetic defects. So if our genes are not causing most cancers, then it must be something we do that is behind it. Cancer is not a disease. It’s a toxicity crisis. Cancer manifests when there are too many toxins in the body. Tumors only settle in an area of high toxicity or acidity. Without the tumors, large amounts of septic poisons would kill your child within hours or days. If they were no longer needed, one simple command from the DNA would stop them from dividing. Tumors cannot kill anyone unless they obstruct a vital path­way. Cancer cells contain no weapons to destroy anything. The toxins are the real problem, not cancer. 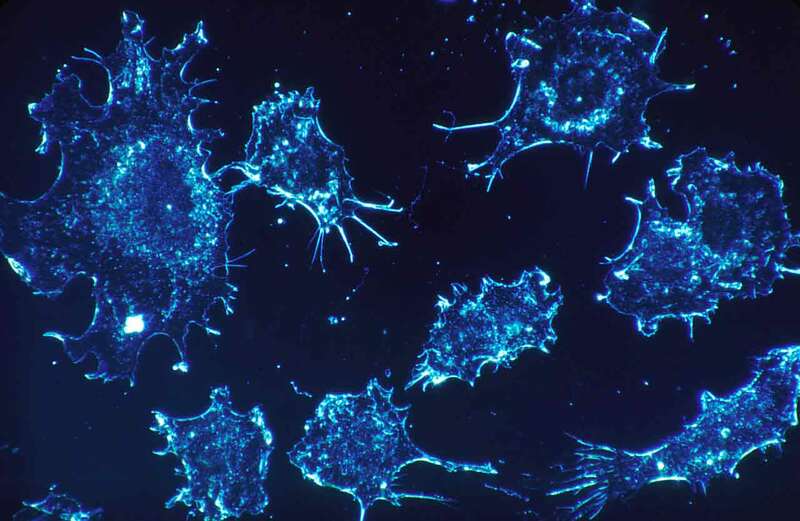 By destroying cancer, the real problem remains and keeps creating new tumors. Everyone creates cancer cells every day. It is a normal process that the body uses all the time to deal with toxins. You have to remove the poisons already present to stop cancer from growing. Stress is one major reason why so many people have cancer. Few people acknowledge the link between stress and diseases. Most cancers appear after a lot of stress. The idea that stress can manifest diseases seems farfetched if you don’t know how the universe works. Our world might feel solid, but that is an illusion. If you zoom in on your hand with a powerful microscope, you can see molecules and atoms. If you get even closer, you will notice that all matter is energy vibrating at different frequencies. There is no solidity. Everything in the universe is energy even your thoughts, and feelings. 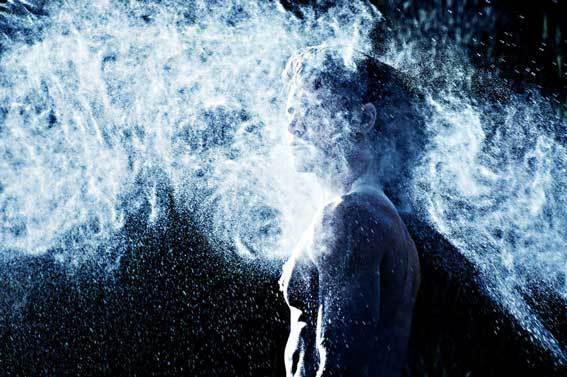 Our bodies are energy fields that operate well when the energy flow is high. The highest vibration is love and the lowest one is shame. When we have emotional stress, we work on lower frequencies that distort the body. Chinese medicine calls the energy that flows in our bodies, Chi. When we worry or feel anger, we hinder the flow of chi and create diseases in our bodies. One man that figured out the whole emotional connection to cancer was Dr. Ryke Geerd Hamer. Ryke Geerd Hamer was a German doctor that worked at a cancer clinic in Munich, Germany. One day he learned that some lunatic killed his son Dirk Hamer. This revelation came as a shock for him. Soon after the incident, he developed testicular cancer. Dr. Hamer wondered if his testicular diagnosis had anything to do with his recent trauma. He interviewed his cancer patients and did brain CT-scans. Hamer then analyzed his findings and found something incredible. He discovered that every cancer patient experienced something shocking before their cancer diagnosis. Hamer found out that our trauma affects the brain, the psyche, and the organ at the same time. Illnesses are not mistakes by the body but rather survival mechanisms. Every disease has a biological conflict. 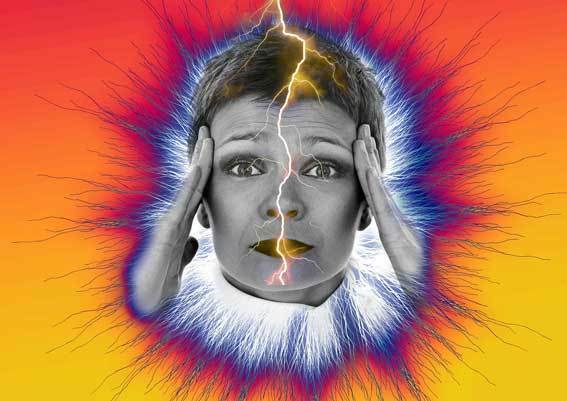 A biological conflict is a specific program the body uses to deal with a stressful event. We call this process the fight or flight mode. The body releases stress hormones and other chemicals so that you can escape from the danger. When you’re safe, the survival program stops and the body goes back to normal. Our bodies can’t see the difference between a real situation and an imagined one. So the same program will run whether you believe it or experience it first hand. Hamer also learned that diseases run in two phases. The first stage is the conflict-active stage. The active conflict phase initiates the moment we have the shock. In the conflict-active phase, the body experiences stress. Your heart beats faster. Your blood pressure goes up, or the digestion slows down. Typical signs of conflict activity are cold hands, cold sweats, and shivers. These reactions are due to constricted blood vessels. This is also called the cold stage. If the conflicting activity is long-lasting, it may lead to cancer. Cancer is the body's way of dealing with the traumatic experience. The condition becomes chronic if you don't resolve the conflict shock. Hamer calls it a hanging conflict. Many people have “hanging conflicts” with little or no symptoms. The resolution of the conflict is the turning point of the healing process. ​In the healing phase, the autonomic nervous system starts to rest. 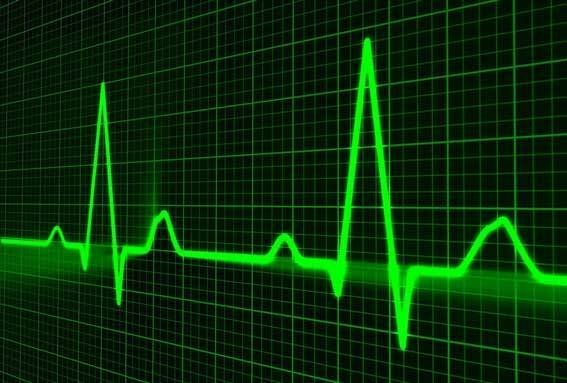 Your pulse and blood pressure start to go down. The blood vessels expand causing warm hands and skin. This is the warm state of the healing phase. During the first part of the healing phase, the affected organ goes back to normal. Tumors that developed in the conflict-active phase stop growing. 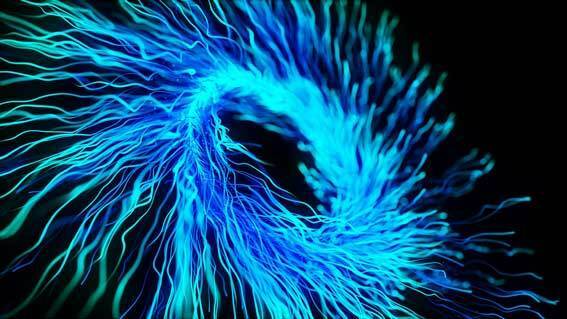 Microbes break down the extra cells that are no longer required. There is increased appetite and tiredness. Fever and inflammation are other signs of the healing process and may cause pain. The intensity of the healing process depends on the severity of the prior conflict. Repair work happens on the affected organ and part of the brain that controls it. The body protects the part of the brain and organ going through the healing process with edemas. Edemas contain water which causes swelling. Western medicine diagnoses brain edemas as cancer even if they're not tumors. The body eliminates all the excess fluid through the urine. If you have conflict relapses, the edema remains until you fix the problem. The symptoms depend on the nature of the conflict, the affected organ, and brain part. Once the body removes the edema the healing goes to the second stage. In the second part of the healing phase, scars can appear ​on the brain. After the brain edema disappears glial cells increase at the site to finish the job. Glial cells repair a damaged brain after an injury or surgery. They also help to restore the area in the brain that received the impact of a conflict shock. Modern medicine sees them as enemies when in fact they are helping the body. Doctors diagnose the natural buildup of glial cells as a brain tumor. They give them terms like glioma, glioblastoma, or astrocytoma. Dr. Hamer showed that so-called brain tumors are not cancers. Instead, they are part of a natural healing process. The surgical removal of a tumor does not stop the healing process. This is why brain cancers come back. After the excision, the surgical cavity forms a cyst. A brain cyst also forms when you interrupt the healing phase with new conflict relapses. Let's explore the emotional connections to different cancers. Dr. Hamer discovered that each cancer has a distinct conflict shock. Every cancer controlled from the cerebral medulla is due to a self-devaluation conflict. This biological conflict affects the bones, joints, and bone marrow. It is part of leukemia, lymphoma, rhabdomyosarcoma, and bone cancers. ​In metaphysics, blood represents the love of life. ​An anemic person has no ​joy left and ​feels discouraged and ​hopeless. They have lost touch with their needs and desires. Rhabdomyosarcoma is cancer in the skeletal muscles. The biological conflict linked to the skeletal muscles is a moderate self-devaluation conflict. The program activates when you feel that you can't move or feel stuck. It may inflict the entire body or a single muscle or muscle group. ​Children often suffer this conflict when they witness domestic violence or parents fighting. Wilms’ tumor grows in the kidneys. According to Hamer problems with the kidney collecting tubules are because of water conflicts. ​Doctors detect Wilms’ tumor or nephroblastoma in the healing stage of cancer. I explained the emotional causes of several childhood cancers. But what about brain cancers? 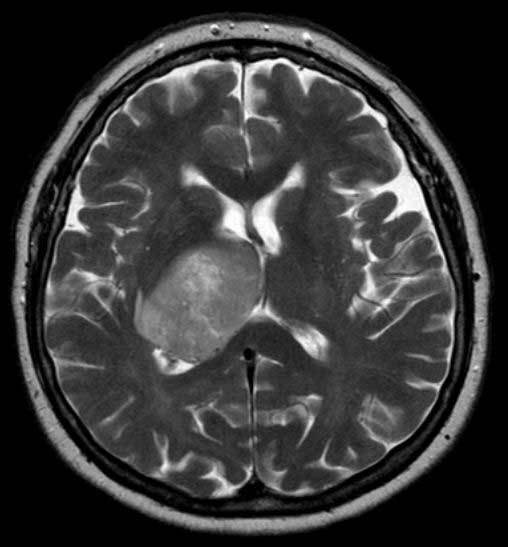 The conflict shock that causes brain cancer depends on the location of the tumor. As I mentioned before different parts of the brain control specific organs. Compare this brain scan with German New medicine's brain chart. You can download a PDF of The Five Biological Laws Of The New Medicine here. After you have downloaded this document go to page five. Compare your brain scan with the brain diagram in this document to figure out the brain-organ link. After you know the organ involved in the conflict shock, go to www.learninggnm.com. Click on the menu option. Select what organ or disease you want to learn more about. Use this info to understand what you need to work on with your child. ​Now you should know some emotional causes of different childhood cancers. So what are the next steps you can take to fix these problems? Find out in the next section. If you want to reverse your child’s cancer, you have to find out the conflict shock associated with the tumor. I outlined the emotional causes of child cancers above. Take this information and ask your child about something traumatic that happened to them. Or let them draw themselves or something stressful they experienced. Look at these drawings and find out what the conflict might be about. Maybe your child feels left out in the family and useless. See how you might be behind this conflict they experience. Are you and your partner always arguing or absent from your children? Do you criticize your children all the time? If you're too critical of your children or partner make sure to fix these issues first. One great way to address your critical thinking about others is to use the self-help method The Work. The Work is a method created by Byron Katie. Byron Katie was once so depressed that she couldn’t leave her bed. But later on, she had an awakening experience that changed her life. She discovered that her thoughts caused her suffering, not other people or situations. Byron Katie now teaches others how to let go of their emotional stress in her workshops and books. She created The Judge Your Neighbour Worksheet. It is an exercise where you write down your negative thoughts about a person. The power of this exercise is that you learn how to look within. You will see how your thoughts create conflicts, not the other person. I’ve used this exercise many times on people that hurt me. I know no other technique that can resolve personal conflicts this fast. You can download this worksheet and learn how to do The Work within five minutes. ​Use the Judge Your Neighbor exercise on each person that you struggle with. Your partner, parents, and children are great candidates. Make sure to forgive any person that makes you upset. When you work on your thoughts, you become a more loving parent. Love is our natural state of being. It is our negative thoughts that make us critical of others and ourselves. Use The Work to release your child's negative thoughts if he or she is old enough to understand this technique. If they are too young to use the method or don’t want to, you can use another technique called The Emotion Code. The Emotion Code is a book written by Dr. Bradley Nelson. He teaches a method where you can release trapped emotions. Trapped emotions are negative energy inside our bodies. They get stuck after we experience emotional trauma. This technique uses something called muscle testing. Muscle testing is a method where you can ask a subject questions about their trauma and other stuff. The muscles in the body get stronger when you say a truthful or positive statement. Or become weaker when you say something false or negative. You can use muscle testing to find trapped emotions and release them. What’s great about muscle testing is that you don’t have to test on your child directly to make it work. In this book, you’ll learn how to do surrogate and proxy testing. Surrogate testing means that you test the child on another person. The surrogate touches the subject to make the connection. Then you perform the testing on the surrogate, rather than the subject. Surrogate testing is practical when you can't examine your child directly. Proxy testing means that you can test the child on yourself and release the negative energy that way. All this sounds like hocus pocus. Remember what I told you about the reality of the universe? Everything is energy. There are no boundaries in the world. Your body can set aside its need to heal other people's problems. You are energy treating energy. I’ve used this technique to release emotional trauma in children. Bradley Nelson also talks about the heart wall in his book. A heart wall is trapped emotions surrounding the heart. 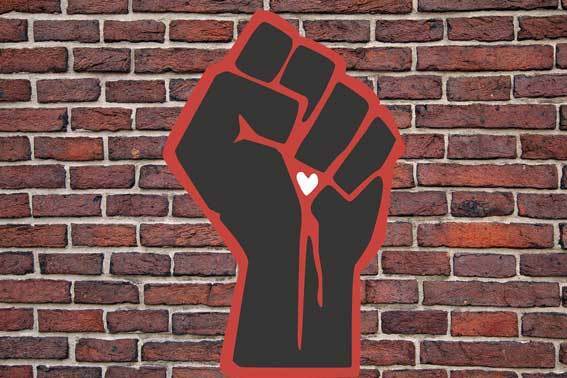 The heart wall makes it harder for everyone to express and receive love. 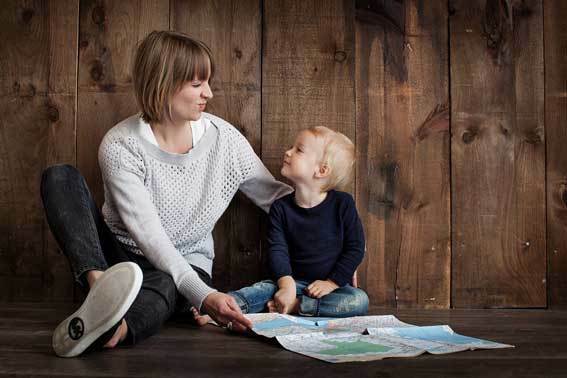 Relieving your child from the heart wall can have a great impact on their wellbeing. You can learn how to release the heart wall and trapped emotions in The Emotion Code book. You can get a free ​starter kit from the author's page. Or you can download The Emotion Code app to your smartphone and learn how to use this technique today. ​Another way parents can help their children is by comforting them. Many parents don't realize how important it is for children to be around their parents in times of need. The Children Cancer Hospital in Karachi, Pakistan examined 78 children aged 7-12 with cancer. The participants made drawings of themselves and others. This study sought to explore the self-perception of children. The researchers looked into facial expressions and family ties. Emotions expressed in facial expressions were sadness, seriousness, anger, and pain. Most of the children's drawings reflected their isolation from their family members. The pictures of themselves showed that they had low self-esteem. 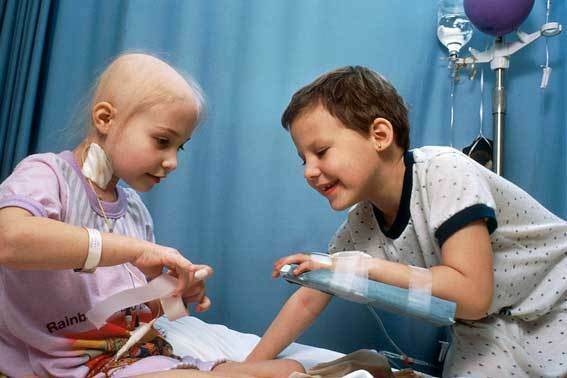 A Swedish study examined nine children with cancer aged three to nine. The researchers conducted interviews with both parents and children. Another part of the study let the children make drawings. The children longed for their home, parents, or siblings. All children said that playing with toys and games improved their moods. They often played with their parents when they had to spend long hours in bed or their room. All children mentioned that being close to their parents helped them a lot. Sitting on their parent's lap, or holding their hand gave them comfort. A parent's presence always seemed to comfort them no matter how difficult the situation. Children diagnosed with cancer need to have a close relationship with their family. During the healing phase make sure to give your child more attention and love. Your child also benefits if you can see them without fear or sadness. Tell your child that everything is going to be alright. If you’re upset over your child’s situation, then release your negative energy around them. Use the Judge Your Neighbor exercise if this is the case. Another thing you can do to improve your child's condition is to change their diet. A diet full of animal products has a detrimental effect on the body. Meat and dairy can increase the risk of cancer. There are several components in animal products that can raise your child's cancer risk. Insulin-like Growth Factor One(IGF-1) is a cancer-promoting growth hormone. IGF-1 in the body increases when we consume animal protein. Heterocyclic amines (HCAs) are chemicals formed in meat or animal protein during cooking. They develop when you prepare meat at a high temperature or over an open flame. What you eat can either be acidic, alkaline, or neutral. Our body works best when our blood is a bit more alkaline. Cancer can only exist in an acidic state. When we eat the Standard American diet, it is hard for the body to maintain proper alkalinity. The SAD diet consists of animal products, oils, candy, cookies, and so forth. If your family eats these foods, you need to stop it now. Eliminate all animal products and processed foods from your child's diet. Let him or her eat a whole food plant-based diet. Humans thrive on vegetables, fruits, beans, and grains. The longest living populations eat a primarily plant-based diet with little animal products. If you want to learn more about this topic, then read our Cancer Diet and Nutrition guide. Discover how to eat a plant-based diet and fight cancer with nutrition. ​If you want to prevent cancer in your child, you also need to stop using toxic cancer therapies. 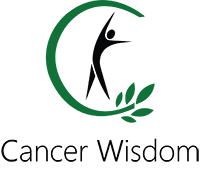 Find out why chemo, radiation, and surgery are a big mistake. Standard cancer treatments are toxic and can worsen your child’s condition. Chemo is extremely poisonous and has a low success rate. One major side effect of this treatment is cancer. Yes, you heard right! Chemo kills both cancer cells and healthy cells. It is so toxic that a spill in the hospital is a major biohazard. No hospital staff must go near the spill unless they’re wearing full protective clothing. In the late 1980s, Ulrich Abel contacted 350 medical centers around the world. He asked them to send him anything they had ever published on chemotherapy. Abel reviewed and analyzed thousands of articles published in medical journals. He then published a critical review in 1992. Abel found no direct evidence that chemo prolonged the survival in cancer patients. Radiotherapy is another common toxic treatment. It uses ionizing radiation to treat the patient. Radiation can cause a stroke in the brain or a heart attack when it affects the heart muscle. Radiotherapy can also lead to more cancer. Surgery is the least intrusive treatment. But as with other medical modalities, it removes the tumor but not the underlying cause. It is also dangerous to operate the brain. There might be inflammation in the treated area and other side effects. Cancer surgery is only useful if the tumor is large and concentrated in one area. Once cancer spreads to other areas, it becomes useless. Like with any cancer treatments, surgery treats the symptoms of the disease and not the cause. ​Leukemia is the most common cancer in children followed by brain cancers. Cancer manifests when there are too many toxins in the body. ​Cancer patients experience something shocking before their cancer diagnosis. Diseases runs in two phases: the conflict-active stage and the healing stage. In the second part of the healing phase, scars can appear ​on the brain and organ. Every cancer controlled from the cerebral medulla is due to a self-devaluation conflict. This biological conflict affects the bones, joints, and bone marrow. It is part of leukemia, lymphoma, rhabdomyosarcoma, and bone cancers. Retinoblastoma starts when you have a fear that you cannot shake off. Wilms’ tumor grows ​after ​water conflicts. ​Parents Can Help Their Child By Working On Their Own Issues. You ​can release your child's emotional problems with The Emotion Code. The heart wall makes it harder for everyone to express and receive love. ​Children with cancer ​feel better when they get comfort from their parents and other people. A diet full of animal products ​can increase your cancer risk and a plant-based diet can lower it. Standard cancer treatments are toxic and can worsen your child’s condition. ​Today you found out the real cause of childhood cancer. Use this information to stop your child's cancer. ​Find out the conflict shock associated with your child's ​cancer type. Compare the brain scan with German New Medicine's brain charts if your child has a brain tumor. Help your child overcome their conflict shock and give them love and attention. Also, fix your emotional problems and critical thoughts so you can stop spreading more negative energy. Eliminate all animal products and processed foods from your family's diet. Replace it with a plant-based diet instead. ​Refuse toxic cancer treatments like chemo, radiation, or surgery. Use natural remedies instead.